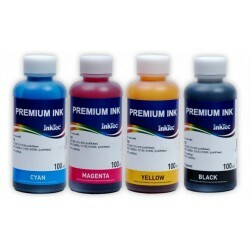 - CERNEALA SUBLIMARE PENTRU BROTHER, EPSON- 100 ml CERNEALA SUBLIMARE LIGHT MAGENTA- CERNEALA ESTE PRODUSA DE INKTEC - PRODUCATOR DE RENUME MONDIAL (PESTE 15 ANI DE EXPERIENTA IN DOMENIU) - CERNEALA SE PRETEAZA IN SPECIAL LA IMPRIMANTELE CU CAP DE PRINTARE PIEZO (EPSON si BROTHER). 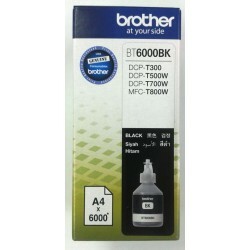 - CERNEALA SUBLIMARE PENTRU BROTHER, EPSON- 100 ml CERNEALA SUBLIMARE BLACK- CERNEALA ESTE PRODUSA DE INKTEC - PRODUCATOR DE RENUME MONDIAL (PESTE 15 ANI DE EXPERIENTA IN DOMENIU) - CERNEALA SE PRETEAZA IN SPECIAL LA IMPRIMANTELE CU CAP DE PRINTARE PIEZO (EPSON si BROTHER). - CERNEALA SUBLIMARE PENTRU BROTHER, EPSON- 100 ml CERNEALA SUBLIMARE CYAN- CERNEALA ESTE PRODUSA DE INKTEC - PRODUCATOR DE RENUME MONDIAL (PESTE 15 ANI DE EXPERIENTA IN DOMENIU) - CERNEALA SE PRETEAZA IN SPECIAL LA IMPRIMANTELE CU CAP DE PRINTARE PIEZO (EPSON si BROTHER). 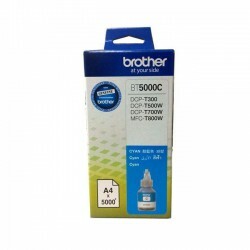 - CERNEALA SUBLIMARE PENTRU BROTHER, EPSON- 100 ml CERNEALA SUBLIMARE LIGHT CYAN- CERNEALA ESTE PRODUSA DE INKTEC - PRODUCATOR DE RENUME MONDIAL (PESTE 15 ANI DE EXPERIENTA IN DOMENIU) - CERNEALA SE PRETEAZA IN SPECIAL LA IMPRIMANTELE CU CAP DE PRINTARE PIEZO (EPSON si BROTHER). - CERNEALA SUBLIMARE PENTRU BROTHER, EPSON- 100 ml CERNEALA SUBLIMARE YELLOW- CERNEALA ESTE PRODUSA DE INKTEC - PRODUCATOR DE RENUME MONDIAL (PESTE 15 ANI DE EXPERIENTA IN DOMENIU) - CERNEALA SE PRETEAZA IN SPECIAL LA IMPRIMANTELE CU CAP DE PRINTARE PIEZO (EPSON si BROTHER). 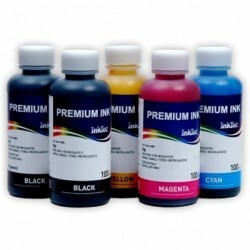 - CERNEALA SUBLIMARE PENTRU BROTHER, EPSON- 100 ml CERNEALA SUBLIMARE MAGENTA- CERNEALA ESTE PRODUSA DE INKTEC - PRODUCATOR DE RENUME MONDIAL (PESTE 15 ANI DE EXPERIENTA IN DOMENIU) - CERNEALA SE PRETEAZA IN SPECIAL LA IMPRIMANTELE CU CAP DE PRINTARE PIEZO (EPSON si BROTHER). 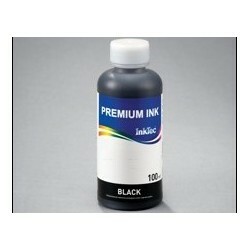 - PRETUL ESTE PENTRU 400 ml CERNEALA SUBLIMARE - CERNEALA SUBLIMARE PENTRU RICOH, EPSON- KITUL CONTINE 4 STICLUTE DE 100ml (ALBASTRU, MAGENTA, GALBEN, NEGRU) - CERNEALA ESTE PRODUSA DE INKTEC - PRODUCATOR DE RENUME MONDIAL (PESTE 15 ANI DE EXPERIENTA IN DOMENIU) - CERNEALA SE PRETEAZA IN SPECIAL LA IMPRIMANTELE CU CAP DE PRINTARE PIEZO (EPSON si RICOH).